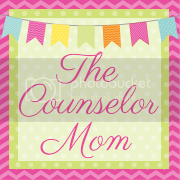 The Counselor Mom: Kinder, the best school choice for us! Kinder, the best school choice for us! I can't believe the end of Kindergarten is almost here. I mean she was just a newborn the other day! We have our last parent/teacher conference on Monday and I am already getting teary eyed thinking about graduation on May 25th. How did it fly by so fast? And don't get me started with the amazing things she has accomplished this year at her school. We are so overly happy with our decision to send her to our neighborhood private school, Highlander. I went back and forth on sending her to our area public school, to a montessori school, to a few other private schools, and we can say without a doubt she has flourished so well at Highlander and have no worries we did the right thing. I can't say enough good things about this school and how it has made our family even happier! Trying to find the right school was so hard. I am kind of a picky and high maintenance parent when it comes to education. :) I love our area public school, but it was just not a good fit for her. 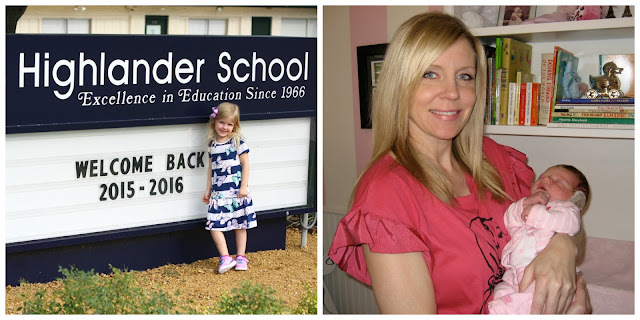 After lots of searching and with her being on the younger side (and also on the smaller side), sending her off to part-time kindergarten was the best decision for her. She is in a class of 13 children, with a lot of one-on-one attention. While touring around, I found that our neighborhood schools had become over-crowded and even some private ones as well going up to 22 and 25 kids with one teacher. We knew that our daughter would get lost in the shuffle. She is a bright child, but being our first born, she is also very sensitive and on the quiet side. We heard from lots of previous teachers that large class sizes are hard for young children, especially the quieter ones, in that the teachers' attention is often placed on the 'more attention seeking' children and then others are often not paid enough attention. It's a hard balance for them and classroom management is difficult and I totally get it. But at the end of the day these teachers would go home and say "oh I wish I had given that poor boy more attention today" but then they get stuck again and again with the harder to manage ones, and the cycle goes on. Not that my child doesn't get in trouble for talking out of turn, because she does and is not perfect. But a lot of schools have general education mainstreamed in (which has its pros and cons- not going to debate that here) and the teacher has to manage all children with all diagnoses in one classroom (autistic, ADHD, ED) without an aide or an assistant. So those poor children suffer even more. I also love how Highlander still teaches reading and math like they did in the 1950's. They are a Carden school and still use the old readers. I say don't fix what doesn't need fixing! The old school reading and math teaching methods have worked for so many years. Now there are new ways to learn math and reading and some don't even teach phonics, which to my reading specialist sister, is the worst way to teach a child. And some area schools are not teaching multiplication tables, they make you say/write "8 plus 8 plus 8 equals 24" instead of memorizing 8X3=24. Another issue in education these days is the lack of recess in elementary schools. Research has shown how play is crucial to learning and so is outside play time! Our public area school district is trying hard to get them to change it from 10 minutes to 30 a day. I am so glad that Highlander has daily recess and DAILY PE classes. Yes, that's right, our elementary school grades have PE EVERY day! This has also been a hard year for me as a parent because I struggled with the whole red-shirting debate about holding back my 5 year old daughter, who won't be 6 until May 13th. The poor thing keeps asking why she is one of the youngest in her class. But she has been doing great with her school work, with learning to read, spell and do math! It's amazing to me because I didn't learn any of those things until 1st grade. I have been watching her all year and keep double checking to make sure we made the right decision with sending her on to Kinder vs holding her back. And why not? I mean when I was a child, most kids were not held back. In fact, most were sent on early. A lot of my high school friends started Kinder at age 4. Now the trend is to hold back and some as young as February birthdays. When I delivered my child, I was happy she was a May birthday because I knew I didn't have to worry about the whole summer birthday issue (I was a July 27th baby and was not held back), and had no idea I would be faced with this decision 5 years later! But with all of the drama of holding back vs not holding back, I am so happy we found the best school for her! I am confident she is ready to move on and she is in a good place. I don't have to worry about her moving forward through the grades. Highlander is such an amazing school where the teachers truly care about each student, and the children care about each other too. When we toured the school this year for the mandatory Kindergarten parent tour, they took us to each classroom and had the teachers explain the goals of each grade. When we got to the 6th grade, they sat on the floor in a circle and talked about why they liked the school, and by the end I was crying. I looked up and all the other mothers were wiping tears away as well. It was amazing to hear these children talk so lovingly about each other, what made the school special to them and it was all so genuine and from the heart. I love how the older children help the younger ones, the 6th grade students get the children out of the cars in the carpool line every morning and my child has a 6th grade 'buddy'. And when I work lunch duty, all of the children come up to me thanking me for helping, and address me as "Mrs." which I am still getting used to, lol, but I love how they learn social skills at the school too. I know every school decision is hard, and for some maybe it was not a big deal and was an easy decision. But for us, I know we can all sleep soundly at night not worrying about the next few years (well, until she turns 13 :).